Last month I confessed that I wasn't a shoe girl. Which was a little embarrassing, but nice to get off my chest. Well, I realized something else since that time. Something that is even sadder then not being a shoe girl. I'm am not a girly girl. The shoes were not the problem. Me not being a shoe girl, is a result of me not being a girly girl. You would have thought when I figured out that I wasn't a shoe girl, that I also would have figured out I wasn't a girly girl, but it took a couple of weeks before I came to this realization. When I told my mom I didn't think I was a girly girl she said she has known that all of my life. It was an uplifting pep-talk. However my mom may be judging me a little harshly, she doesn't understand that it was cool to wear Doc Martens in junior high and everybody else had those ginormous clad-hoppers on, not just me. And I only wore tall socks with my adidas tennis shoes in 7th grade because I thought it would stay in style forever, and because I thought everybody else was doing it. I was sadly, sadly mistaken. 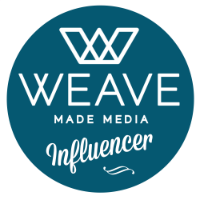 It wasn't until I entered this wonderful world 'o' blogging that I realized I wasn't a girly girl. However, I should have been tipped off a long time ago for several reasons. One very large reason that screams NOT A GIRLY GIRL is my makeup bag. It is a shame to makeup bags all around the world. I don't even really need a bag, just a teeny tiny ziplock bag that could carry my powder, eye shadow, and mascara would work just fine. So lately I have decided to make an effort to become more girly. I try not to put on sweatpants as soon as I enter the door. When I get the urge to put my hair in a ponytail at the end of the workday I try to refrain and let it hang down a little longer. And I have tried to add more to my makeup collection lately. In fact the other day I bought bronzer and now I am a total fan. The reason I am telling you this is because God is totally on my side in all of this. If Chanel perfume doesn't scream GIRLY then I don't know what does. It's as if God saw my efforts and wanted to bless them, so he placed that bottle in my bathroom for me to find and to use to become a bit more girly. I haven't worn perfume since 7th grade and that was only because the perfume Sun, Moon & Stars was insanely popular, and lets be honest, I am NEVER one to not follow a fad. Which would explain why I wore the ugliest headband in my hair all through 4th grade, only because my best friend wore one just like it. So Sunday morning I put that Chanel perfume on and practically glided out the door. With God's help I just might become a little more girly. And I promise, to never, ever wear Doc Martens, or tall tube socks with my tennis shoes again. You and I are SO alike!! I am working on my "no sweats or ponytail plan" but today I had both ALL DAY if it makes you feel better!!! And my "glam squad" uses bronzer on me when they make me up for the show and I, too, am now a huge fan!!!!! isn't it SO tough to not walk in the door and immediately put on sweats? im a nurse, so when i walk in the door, i'm already in scrubs. that's like.. professional pajamas and i STILL need to change immediately after walking in the door! This weekend I made a concerted effort to "dress" up by actually putting on real clothes, pin-rolling my jeans and pairing them with a cuuute pair of kitten heels (just to head out to run some errands with my husband). Oh. My. Goodness. I swear my shoes were filled with blood only half way through our errands. I made my husband stop at Old Navy just so that I could buy a cheap pair of flip flops! But it wasn't for lack of trying!!! I totally wore doc martens in middle school! And tall socks with my super cool adidas tennis shoes in 7th grade! We must be the same age. Graduated high school in 02? I've never been a tomboy, but I'm not necessarily a total girly girl. I like girly things, I just don't have the patience or time to put the effort into it. The only reason I wear make-up is because my job kind of requires it. Same with jewelry. And shoes.... I own tons of super cute shoes. I just don't like to wear them because they hurt my feet, so I wear flip flops. Do you think you could ask God to put some Chance in my bathroom? That would be amazing, thanks! Hahahaha I had forgotten how ugly those Doc Martens were. I totally had like 3 pairs, too! Adorable post! I have that fragrance... smells very good! You are too funny! And I had forgotten about those Doc Martens too...I had two pairs, and they were SO ugly! This post was me to a "T" well except I love love love shoes (just can't afford any)! Don't know if I've ever introduced myself but I've followed along for awhile now and you never fail to make me laugh! I just came across this verse lately and I love it. I thought about it when I read your post. you and i are soul sisters. every. single. thing. you said i am with you on. down to the doc martins and tube socks. i always have on comfy pants, ponytail, no makeup, and no perfume at home and half the time in public. i very much desire to be a girly girl, but its just not in me. Wow if you don't need a make-up bag I REALLY don't need one! ha. Oh my. but God loves me just the way I am. He made me perfect without makeup and perfume...although i DO like to smell good and i LOVE the way my lips shimmer with that gloss on. I'm sure, even though they're out-dated, the tube socks would STILL look fab on you!! I'm not girly either, but I have noticed that I'm taking baby steps in that direction. Like, looking at pillows and curtains and thinking of how to decorate... ha! But that's as far as it's gone so far. I still wear my hair in a ponytail 99% of the time.. I LOVED Sun, Moon & Stars!!! Your makeup bag and mine are twins! I love that perfume - it's just a gorgeous scent!! On the other hand, I'm an ultimate girly-girl with a drawer full of makeup... so if you ever need to borrow some, I've got enough to have you covered. Ahh, you are too funny!! I'm clearly a girly girl (it's even part of my blog name lol), but not completely! I don't wear perfume and I wear hardly any makeup--though, that's really only because I'm allergic to pretty much all face makeup! ugh. No worries - being girly is a struggle for me too. I'm just lucky that my husband thinks I look hottest when I'm wearing Nike's, a hoodie and a hat. But that doesn't do much for the girly factor. My daughter use to say *You are such a man, mom* 'cause I liked big SUV's and ACC college basketball. I have since switched to *pearls* but I still love a good college basketball game. You can take the girly out of a girl but you can't take out the tomboy!!! Oh I definitely sported some Doc Martens! 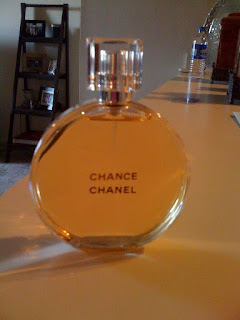 I LOVE Chance..it smells yummy!! I'm sure you look beautiful with or without make-up!! wow!!! what an amazing find!!! don't worry; as soon as i get home i immediately put on my pj's and put my hair up in a pony tail. Haha you crack me up! I am not a girly girl either, glad to know I'm not the only one! Yay Chanel!! Great post - kept me rolling! Great. Now I have to buy some bronzer (really? I don't even know where to start!) and stop changing into "comfy clothes" as soon as I get home from work. 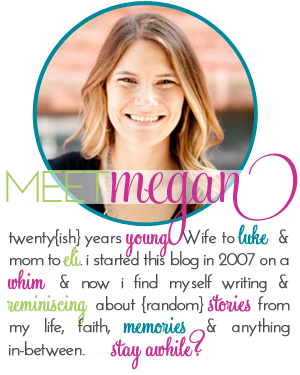 Just found your blog and its so cute! I definitely have a few WHAT THE HECK WAS I THINKING moments regarding fashion growing up... like the navy blue leotard, navy tights, blue plaid shorts, and penny loafers I wore every day during 2nd great. Hotness. Total hotness. I'm going to bet you are to hard on yourself! Every picture I see of you on your blog you look...stunning! So if your not girly-girl....you don't need it!! haha doc martens...memories. i remember being little and seeing all of the older girls (aka: middle school girls) wear them. oh how i wanted a pair. You and I are so alike! I'm also not a girly girl. I'm getting better, but my hair, skin, makeup regime would make most people cringe!! Oh well.... Maybe someday!